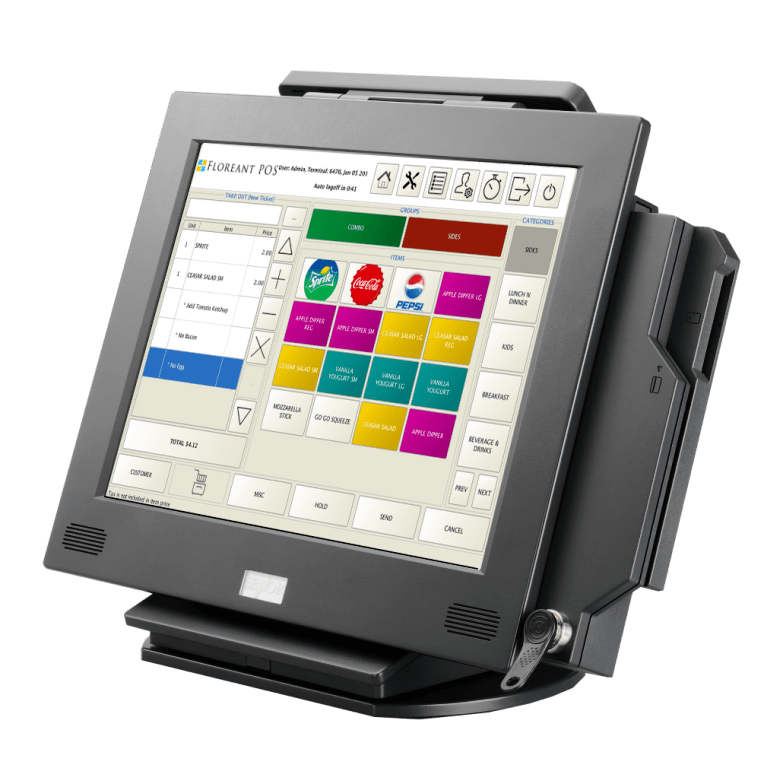 If you are looking for a reliable software that will register and calculate transactions at a point of sale, we have compiled the best cash register software for PC in order to get you started. Cash register itself is usually attached to a printer that can print out receipts and even a drawer for keeping storing cash. While cash register software for PC simplifies the sales process, ensures payment is made securely, and organizes the sales recording. A new business just starting out can appear more legitimate and professional by making use of cash register software, otherwise known as a point of sale (POS) system. There are many cash register software for PC out there, and you might probably get lost while searching for the right one. 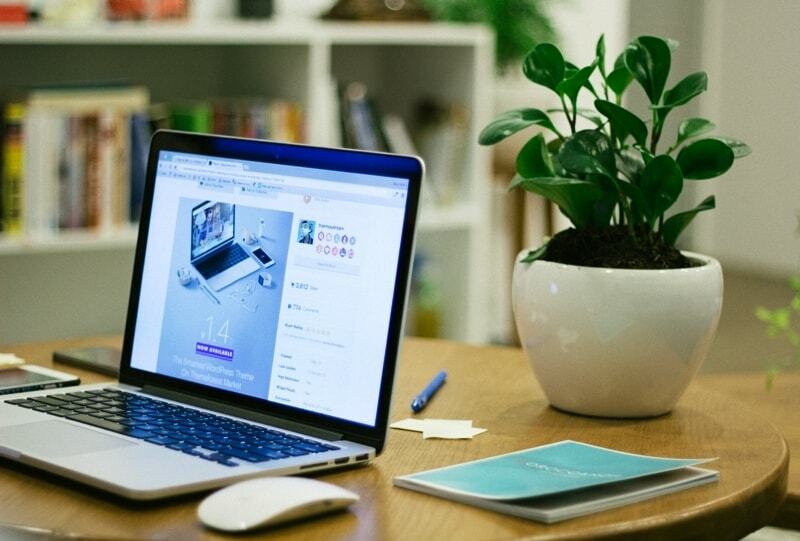 We have compiled a list of five best cash register software for PC guaranteed to streamline your sales process and boost your productivity. You can find almost all of these features in the free (demo) version of the software. However, if you will need to use it on a daily basis at a ‘full throttle’ you will need to upgrade to Pro version. 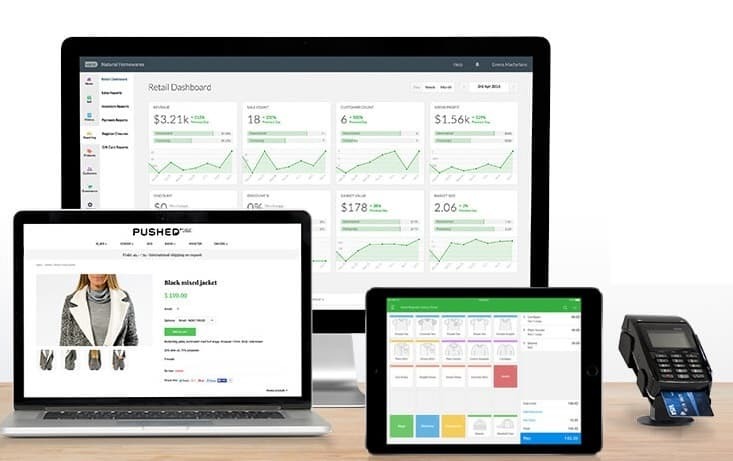 First of all, Vend is the leading cash register software in USA, streamlining the sales process for retailers. It works with top merchant providers around the world enabling businesses to choose the best way available to accept payments ranging from gift card, credit card, and debit card. 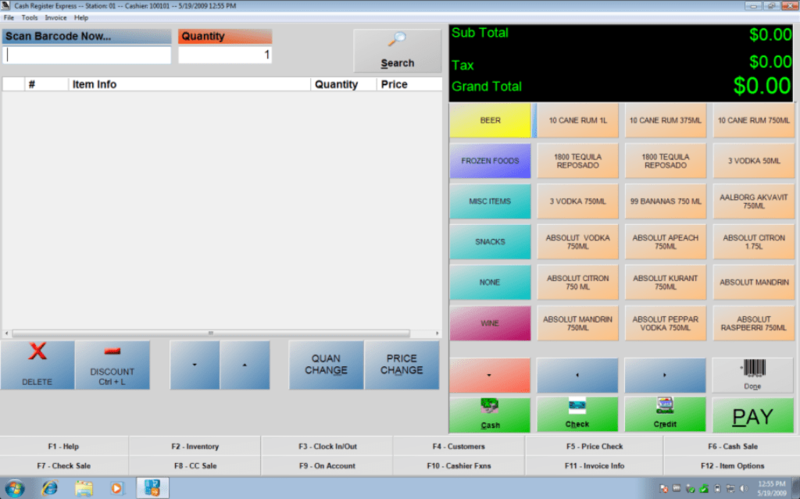 Also, cash register software for PC, Vend is very efficient on almost all Windows systems. Most noteworthy, this cash register software offers a range of pricing structures with the Starter package available at a cost of $69 per month and is designed for a single outlet with three users. Also, the Advanced payment costs $79 per month and is for a single outlet with unlimited users. The Multi-Outlet structure costs $199 per month and can be used by multiple users. Try Vend for free here. 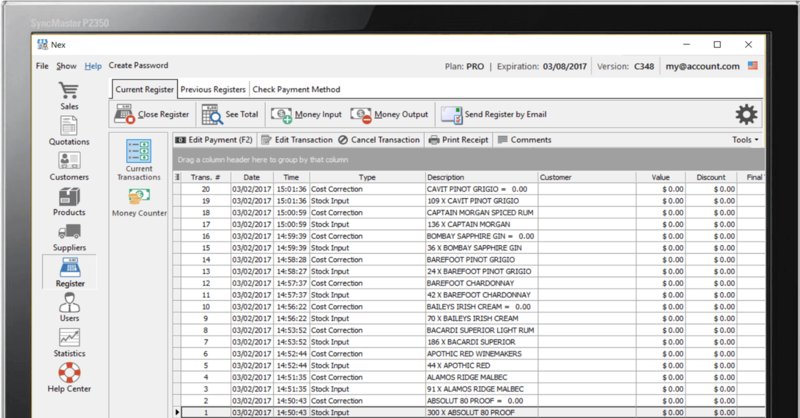 Also, Brilliant CRE makes an excellent cash register software with the cash register express software. The software is remarkable due to its faster customer checkout, accurate inventory tracking, and employee management. It is available for any business ranging from small shop outlets to large multi-store chains. Also, Brilliant CRE gives retailers the option to build their own POS or download free trial. Brilliant CRE is compatible with major Windows OS including Windows Vista, Windows 7 and Windows 8. You can download the free trial here. Another easy-to-use cash register software for PC is Nextar. The free version can be installed used instantly. In addition, this software works well as an faster cash register software for PC on any Windows system. Nextar has a free plan but Pro and Premium packages are available at $15 and $25 per month. You can download Nextar free version here. This Windows friendly cash register software for PC can run on all Windows versions (XP through 10). Due to its customization options for screen and receipts layouts, Chromis comes with kitchen screen software that can integrate with the POS, if you want to send orders back to a separate monitor. 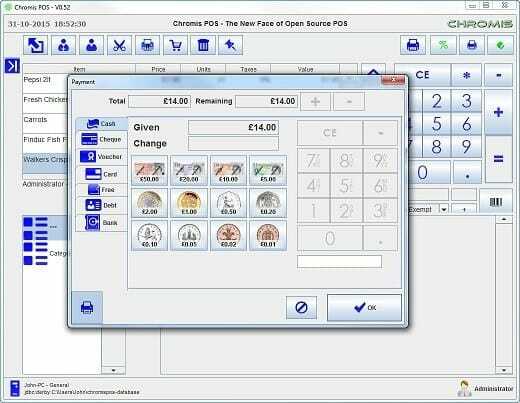 Most noteworthy, Chromis is an open source cash register software with support for almost nine separate locations. Hence, you can download Chromis cash register software for PC here. Finally, built specially for restaurants, Floreant is a free and open source cash register software. It can run on Windows and other operating systems. You can easily take and track orders using Floreant by using the bar tabs feature. Kitchen printers are connected to Floreant which makes it easier to manage menus and recipes. Friendly interface for managing food menu, prices, beverages, cooking instruction. Supports free/commercial plugins for purchase, warehouse and many more. Furthermore, Floreant is hardware-friendly because it offers hardware support for java tablet, kitchen printer, magnetic card, and barcode scanner. Therefore, Floreant is the best cash register software for a restaurant setting. You can download Floreant here. 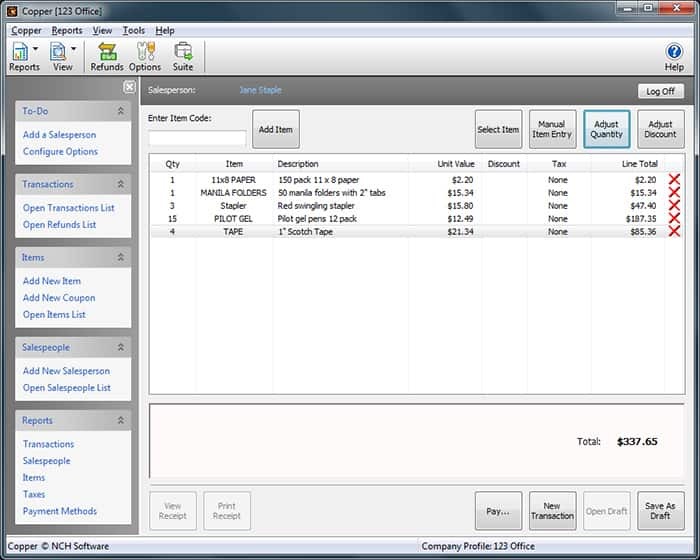 These were our top cash register software for PC that we picked for you. Check them all out on your Windows system and stick with the one that fits your sales process needs.